""Our incident command is on stand by,” Centra Health spokesperson Diane Riley said Wednesday afternoon. "Right now we haven't been told of any injuries," she said. The incident occurred near the bottom of 10th Street. Commerce Street is shut down. Authorities are evacuating numerous buildings in the area. 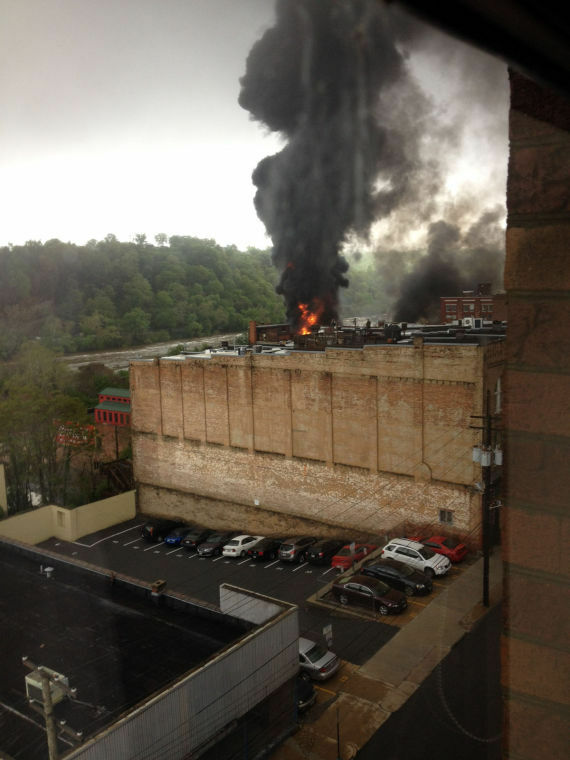 "Lynchburg Police and Fire Department personnel are on the scene of a train derailment in downtown Lynchburg (near Depot Grille)," the City of Lynchburg said in a statement. "There are extensive flames and smoke. Both motorists and pedestrians are cautioned to avoid the area until further notice."